We recently exhibited at Spring Fair in Birmingham at the NEC. We had a fabulous show! It is always a pleasure to catch up with our lovely stockists, distributors, agents & suppliers. Thank you to everyone who came to see us at the show. 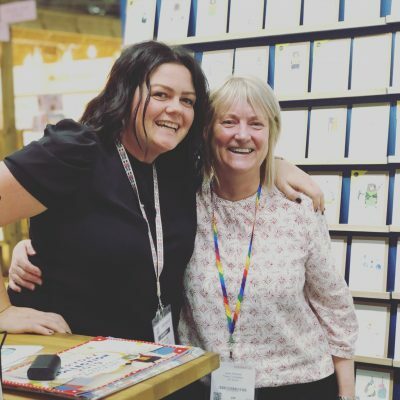 Here is Jo (Dandelion’s chief doodler) with Janet from G. F Smith. Janet is Jo’s trade show bestie!